What a month it has been! 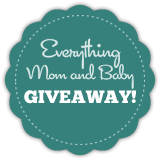 I’ve been busy with posts and hosting lots of fabulous giveaways! Well, nothing has really been for baby and I am thrilled to tell you about the Tiny Love Gymini Under the Sea Activity Gym I’ll be the first to stay that I wish when my kids were newborns, friends and family would have thought to gift us a little gym for baby. I never knew how great they were until we had them with our son. • Stand-alone Mirror provides for extended tummy time. 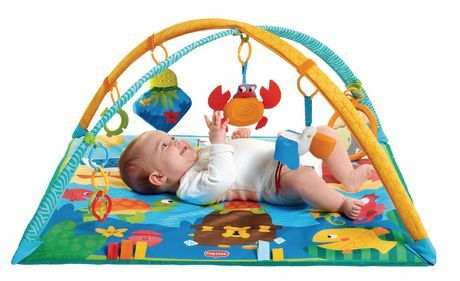 The Tiny Love Gymini® Under the Sea is designed to capture baby’s imagination and encourage cognitive development. 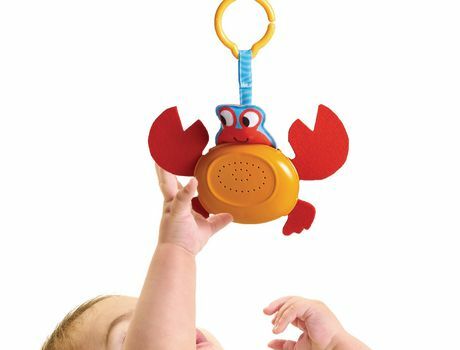 With 7 different activities including a self-activated musical crab, the baby is building their gross motor skills one sea creature at a time. The crinkly jellyfish, five satin ribbons, easy-pull rattling pelican toy, rings, and easy to grip fish teether gives baby multiple play time options. The vibrant mirror encourages extended tummy time helping baby to increase upper body strength as you can see pictured above. In a time crunch for the holidays? You can buy the Tiny Love Gymini at Walmart of buy a gift card and guide them to this post so they can know more about the adorable Tiny Love Gymini! Giveaway is Canadian only, 18+ yrs to enter. Fill out the raffle below and share the giveaway for bonus points! We are thrilled that Tiny Love is going to give one lucky family their very own Tiny Love Gymini® Under The Sea Multi-stage Activity Gym. Giveaway ends Dec.30/16, you’ll have a nice prize to kick off the New Year! Talk about a great Baby shower gift too! My niece is the baby in my life right now, love to gift things to her whenever I see anything I think is cute or that she might need. That is what an Aunt is for right? This activity gym would be fun for her. Right now my niece is all about things she can put in her mouth. So she loves teethers! I like to gift JJ with toys that engage him in activity. I love buying cute outfits. I’m so excited to buy a pack n play, crib, crib mobile and adorable clothing!!! I also am buying new toy balls and cars for my son so he doesn’t feel left out. My son has just told me they plan to have a wee one in the near future. This will be my first grand baby. So excited to have a baby in my life. I always like to gift board books and a fun towel for their first swimming experiences. my thing is learning toys. My fav way for my granddaughter is toys that are fun but stimulating and educational too. Plus cute outfits. Something they need, something they want, education, and fun. Anything educational, that gets the baby to think is my go to gift. With gifts that help them learn. 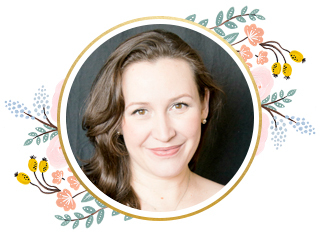 I like gifts that are both cute and useful – like bibs, toys, and clothing. I love shopping second hand for quality items like real fabric blankets and clothing made of linen, cotton, wool, silk or hemp. These are good for the planet and good for baby. I like to get some practical stuff for the baby’s mama to keep her sane and I like to get toys for baby that encourage brain development and movement. I like to gift based on reaction! I love seeing them smile! I like to gift baby things that can help with development. I love buying cute outfits for him. I like finding and playing new music for my baby who loves it. Love gifting educational toys like baby einsteins! I like to gift essentials and things I know helped me but no one ever thought about. Of course sometimes a toy or two , but I like to give practical things esp at the baby stage . We have a new addition and this would be a great gift for me to be able to win for them. I love these products only wish I’d of had them when i was having babies. I love buying cute outfits and educational toys. I like to gift my nieces interesting and educational toys I find. They have every toy known to man, so I try to look for things that are different. I love to buy board books, outfits ,and anything personalized. I like to gift money to be put away for savings as the parents see fit. We are always getting new books for our daughter, that is her favourite thing! I try to purchase what the mom and dad need or request, and stick to useful items such as diapers and wipes and medicine suitable for babies!